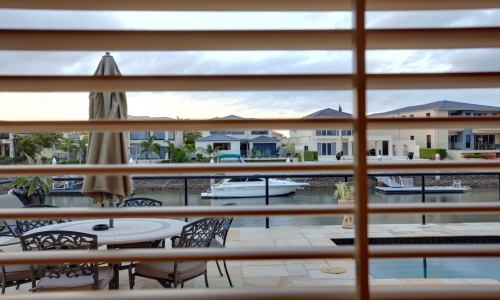 Thermalite Shutters have the look and feel of wood with several major advantages. Made from dense polymer foam, Thermalite is a solid, non-toxic synthetic material. Being 100% made from renewable synthetic material, no natural resources are destroyed in the manufacturing process. Thermalite is water resistant, fire retardant and provides over 2-3 times the insulation of wood and vinyl shutters making it the ideal choice for both internal and external applications such as bathrooms, balconies, kitchens or anywhere around the home. The superb painted finish on the Thermalite Shutters ensures they will not yellow like other shutters. Thermalites exclusive world patented Ultraclear system option has no visible control rod providing an uninterrupted view. Thermalite Shutters have the longest and most comprehensive warranty in the window covering industry. This includes a 25-year guarantee on workmanship and labour, including 5 years on the painted finish. Thermalite Shutters also have a lifetime warranty on all moving parts, the warranty also covers warping, cracking, yellowing and peeling. Thermalite Shutters unique louvre tension system will never need tightening or adjusting. This unique environmentally friendly product can be found in suburban homes, hotels, hospitals and resorts throughout the world. 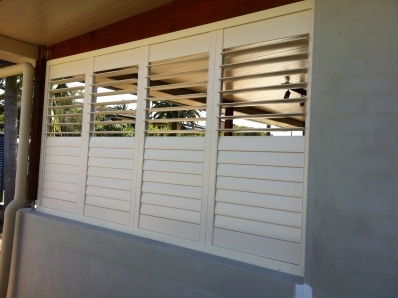 Our range of shutters and can be designed to be fixed or installed with single, double and triple tracks. 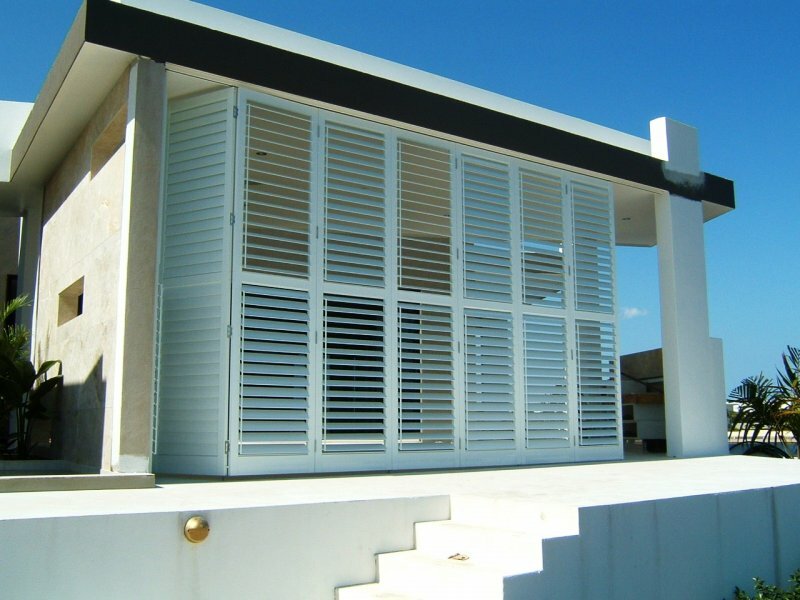 Custom designed shutters is one of our specialities and we have qualified designers and installers who look forward to working from your plans and specifications. The Team at Supaview are professional yet personal and have years of experience in sales and installation to help you choose a product that fits your lifestyle and your budget. Made to measure and made on our premises gives us the ability to control quality & service.